The temporomandibular joint (TMJ) is a complex mechanism that helps you perform basic functions such as eating and speaking. If you experience chronic pain or limited motion in this area, you could suffer from a disorder known as TMD. Although the discomfort from TMJ disorder (or “TMD”) often goes away on its own, in some cases we may recommend a form of treatment for pain relief. The right plan for you will only be determined following a thorough examination, which can include x-rays to help identify the source of the problem. Our friendly and knowledgeable team has experience providing dental solutions for patients with TMJ disorder. Where possible we will recommend simple lifestyle changes that can alleviate the discomfort. These might include modifying your diet or sleeping position to reduce stress on the muscles and ligaments around your jaw joints.  For sufferers of bruxism (teeth grinding), a special mouth guard is sometimes used to create a barrier between the upper and lower teeth, reducing stress on the jaw. If you experience any of these symptoms, talk to us about scheduling an examination and exploring dental treatment options for TMJ.